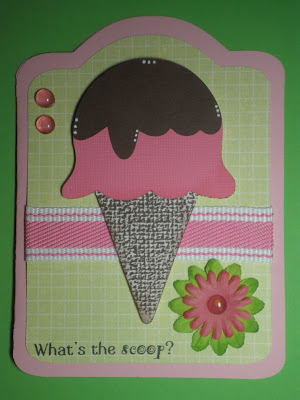 Up next is a sneak peek for Pink by Design's June stamp release! It is being announced FRIDAY!! Here is my sneak and this is from one of my newest favorite Pink by Design stamp sets!! WELCOME to the Scrappin with my Bug Birthday blog hop!! If you have come from Michelle's blog then you are in the right place!! If not and you would like to start at the beginning please click here. Happy Birthday Michelle!! You are just going to have to be patient and wait until next Saturday for your birthday present! :) Now what is a blog hop without some blog candy? Up next is another awesome friend of mine.. Kim Ricketts from Ricketts Cricuts! Thank you to everyone who is a follower of my blog. I am sooo excited to have 1000+ followers. I remember my first couple!! 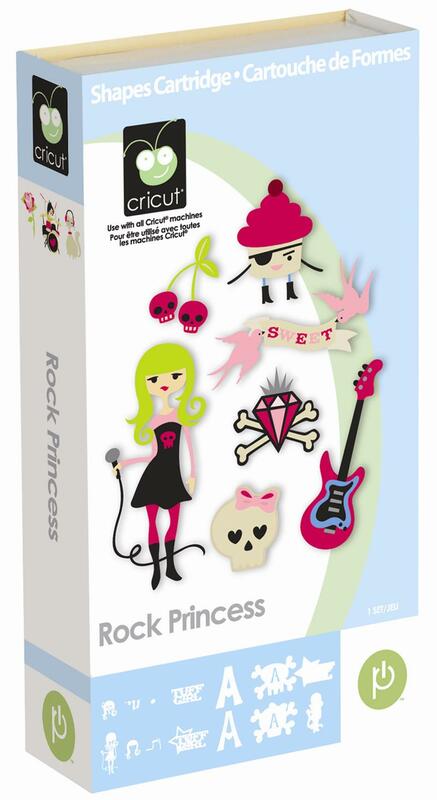 And last but not least the winner for the Rock Princess cricut cartridge for the 1000 Follower giveaway is.. Pink by Design - Stamp of the Month- Design Team Day! Happy Friday Everyone!! It's design team day over at Pink Cricut. :) But first, were you on the Ustream last night? So much fun and TONS of new stamps announced! If you didn't see the new stamps click here to go to the store.. So our design team challenge for this week was to use the Stamp of the month and create a Mother's Day project. I decided to make some little sour cream containers filled with hershey kisses. :) The tree is from the Stamp of the Month along with the smiley face on the tree. "For You" and the flowers are from the Bicycle Image stamps that Pink by Design released last month. Pink by Design Giveaway- WINNER and another Sneak! Oh and make sure to stop by my blog tomorrow for a chance to win some more blog candy!! A couple reminders, Tuesday is the last day for you to comment on the giveaway post (click here) to be entered into the random drawing for a Pink by Design stamp of the month (announced Wednesday)!! Also hurry hurry because there is a sale on Stamp of the Month stamps right now for only $14.99 for the first month!! You can click on the Pink by Design link above to visit that page. Also keep checking back because I will have more sneaks all the way until Thursday evening for the release party on Ustream!! Here are some more sneak peeks for Thursdays Pink by Design stamp release!! I just love doing sneaks and teasing you all! :) I also got new Greeting Farm stamps so I had to combine the two!! First up is Cafe Ian..